Political Drama, political humor, political blunders, political speeches, political strategy, political news, political headlines, political updates, political analysts, political supporters, political debates, political pundits, political blogs........ Yada! Yada! Yada! we've seen a bunch of that! 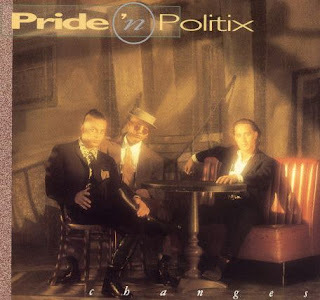 Let's see some Pride 'n Politx. Anyone remember these guys? I had to sift through my collection of CD's to find this particular one buried in the archives. I first heard this song when I was working in San Francisco in the early 90's. The song is titled: "What You Won't Do For Love" and is a remake of the old Bobby Caldwell classic. It came out on the Eastwest Records America label. This trio added their own twist and a bit of harmony to the original to create a catchy song. Catchy enough to sell a few albums and get some play on major radio stations. I didn't fall in love with any of the other songs but the track "Hold On" also got a fair amount of play. Just thought I'd throw a little political distraction your way! Let's hope that after this election is over we can put our Pride and Politics aside and do what we need to do to get this country back on track! Do you ever have gut feelings? Hunches? What about intuition? If so, do you understand these feelings? Perhaps like many of you, I consistently have these feelings. My tendency is to sometimes ignore them and regret it later. So a few weeks ago I decided to do something about it. I picked up a book called Gut Feelings The Intelligence of the Unconscious by Gerd Gigerenzer and powered through it. When I initially read a review about this book I thought - Great! I'll read this book and right away learn how to optimize these feelings and thereby increase my effectiveness and accuracy in making decisions. Don't we all want to make the right choices more often? I thought - Wouldn't it be great if I could come up with a way to consistently capitalize on these feelings? I figured the benefits and opportunities were limitless. Think about it. If I could look at three investment opportunities and consistently pick the right one or simply increase my percentages over time that would be awesome. The applications in the capital marketplace and Vegas are obvious but what about everyday life? What about relationships? Ever meet someone and have a funny feeling about them? Did your gut feeling turn out to be correct? What if you could eliminate the wasted time of nurturing a bad relationship or avoid the complications of involving yourself with shady characters or people who only want to take advantage of you? 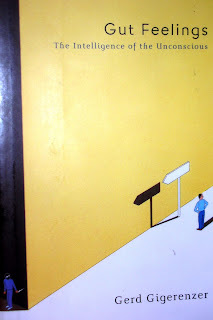 If you look above at the photo (it's actually the cover of the book - Gut Feelings) It shows a man deliberating over a decision to go left or right. The implication is that his gut feeling is to go right and avoid the masked man with the knife who is hiding around the corner to his left. Will he be smart enough to go with his gut feelings? Can your gut feelings keep you out of dangerous situations? What would you do when faced with a similar choice? Would you feel confident trusting your gut feelings? These were some of the questions I asked myself in an attempt to understand and feel comfortable with my own intuition. So in an effort to better understand these little voices and improve my quality of life through this understanding I critically examined Gigerenzer's writing. I figured even improving the little things like avoiding traffic jams and picking the right line at the grocery store would be helpful in my life. Ultimately, I suppose, I wanted to be more like Thomas Magnum on the series Magnum P.I. Do you remember Magnum? He was always hearing his own little voice and he listened to it. His voice generally influenced him in the right direction. I wanted to perfect this technique so that I would more likely say "I'm glad I made that choice" instead of the alternative "I wish I had listened to my gut feelings." 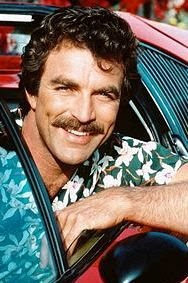 Thomas Magnum usually listened to his "gut feelings" or his little voice. When he didn't - There was generally trouble ahead. So here we go, I picked up the book and started reading. My first observation was that the book read more like a college text book than a "how to" book. My preference would have been for a step by step process with examples and someone to hold my hand and lead me to the promised land but that was not in the cards. It wasn't quite as bad as college Thermodynamics but there were times when I thought about skipping a few chapters. It's easy to understand why the book was written in this manner when you consider who the author is - Gerd Gigerenzer, who was a director at the Max Planck Institute for Human Development. That definitely adds credibility to the book but doesn't make it read anything like a Louis L'amour novel. I read on..... I was impressed at how the author drew parallels between catching a fly ball and gut feelings. He would go on to describe and define the "gaze heuristic" in which an outfielder uses a technique of gazing at a fly ball to predict where it will come down. He later introduces the "recognition heuristic" as a tool that people can use to make decisions. He cleverly used cute anecdotes to highlight his points and somehow keep me interested and waiting for the step by step process that I was looking for. He proved to me that "less information can be more" and often produces the best answer or decision. Without delivering to me the pass key I'd hoped for to consistently make accurate decisions based on my own gut feelings, he finally got his point across. In summary, this book is about gut feelings and the intelligence associated with the unconscious mind. The author's theory is that these feelings, hunches, inner voices or whatever you may use to describe them are not based on random or capricious thought. Contrarily, they are based on information that may be hidden in the subconscious mind or observations and mental processes that you may not be cognizant of. That's my take on it. Every day we make hundreds if not thousands of decisions. Some people are indecisive and have a difficult time making decisions. Sometimes the correct answer is right there in front of them and they still deliberate and ultimately make the wrong choice. At times I've personally had to make decisions when the answers were not clear. I have a history of not going with my gut feelings and using logic or reason to talk myself out of the intuitive answer. I think now I've taken a proactive step in my life to try to finally tilt the odds in my direction. I'm not sure if I'll be successful but I know I've at least armed myself with some more information. I can now be comfortable in knowing that perhaps there is some science or logic to this nebulous decision making process. Now all I have to do is be smart enough to listen to my inner voice and hope it continues to be right more often than not. I hope my ranting has been helpful! Labels: gerd gigerenzer, gut feelings, hunches, inner voices, intelligence of the unconscious, magnum P.I. If the rest of the world could vote for the U.S. President! So let's just say you're bored. You've got nothing else to do and you somehow ended up here at this post. You're tired of all of the election hoopla on the radio, television, and Internet. But not really. Are you? You're looking for that one last tiny bit of information to stuff in you already overloaded head. You were curious about how the rest of the world feels about the two U.S. presidential candidates and you were wondering how the world would vote. Weren't you? Wonder no more.... This link is going around the globe in an email and the numbers are increasing. Cast your vote or just follow the link and click on the results tab in the upper left corner to see how the rest of the world is lining up. The nice thing is you can see how the vote breaks down per country. As of the writing, approximately 438,300 people have voted. Follow this link: If the world could vote. I'll confess. I voted twice. The site automatically detects your location. But I voted once in Australia last week and once in the U.S today. I promise not to vote anymore. Allen Raymond - A Prank gone Wrong! "After ten full years inside the GOP, ninety days amongst honest criminals wasn't any great ordeal." This is a quote from Allen Raymond, author of "How to Rig an Election: Confessions of a Republican Operative." You've got to like the irony if nothing else. So I just can't seem to get away from the politics...... I walked into my favorite cafe yesterday in Sydney, Australia and the owner, who knows me personally now, greets me kindly and ask about things in the United States. He of course knows my order as well and we say it simultaneously. We chat a minute about the weather and the strengthening US dollar versus the Aussie dollar and then he jumps right into politics - "Who's gonna win the Presidential election Mate? He asks. I initially respond with a confident - "Looks like it's gonna be Obama." He smiles and before long we're talking about Allen Raymond and dirty GOP tricks. Perhaps now I'm not so sure. Raymond, served a three-month sentence for jamming Democratic phone lines in New Hampshire during the 2002 US Senate race. He served as chief of staff to a co chairman of the Republican National Committee, supervised Republican contests in mid-Atlantic states for the RNC, and was a top official in publisher Steve Forbes's presidential campaign. He went on to earn $350,000 a year running a Republican policy group as well as a GOP phone-bank business. I happened to catch part of "Real time with Bill Maher" on HBO tonight and guess who was on? You guessed it - Allen Raymond. I suspect mostly he was out promoting his book but he also shed some light on the dirty GOP voter suppression tactics of the past and maybe of the future. An enlightening show to say the least. This Presidential race is like no other in my lifetime. I'm astounded at the amount of information that is available in all areas. A media field day. I'm captivated by the number of Republicans who are jumping ship, divorcing George W. Bush, and professing their support for Obama. Collin Powell, Scott McClellan author of "What Happened: Inside the Bush White House and Washington's Culture of Deception," and Allen Raymond are just a few former Republicans who now have quite compelling stories to tell about their political journeys. It's perhaps too late for McCain/Palin to change their game plan but you can best believe that if their bid for the presidency is unsuccessful, the GOP will be re-writing the playbook for next time. Today as I was driving around just north of the intersection of Fairfax and Beverly and I had to stop and look. I almost couldn't believe my eyes! So I pulled out my camera and snapped a shot of the image before it disappeared. I thought - someone had clearly caught Barack Obama in his off hours masquerading in costume. At least that's what I thought at first. And then I heard this clip of Senator Obama speaking at the 63rd Annual Alfred E. Smith Memorial Foundation Dinner on October 16, 2008. So it's official. 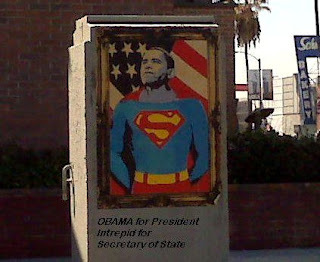 Barack Obama is Superman's younger brother. You can hear the rest of Obama's entertaining speech by following this link: Obama at Alfred E. Smith Memorial Foundation Dinner. Tired of all of the lies, mud slinging and spin? Is the eloquent and articulate Batman guilty by association? Or is the deceiving and nefarious Penguin up to his old tricks? 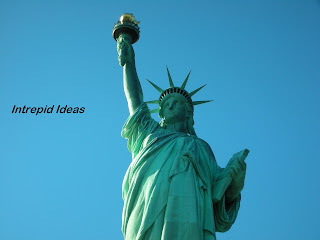 All of this turmoil and volatility in the stock market combined with a conversation today with a man who was a teen during the depression has inspired me to relearn some of my United States History and pen this post. Specifically, I took a quick look at the Great Depression and the Stock Market Crash of 1929. October 29, 1929 known as "Black Tuesday" is the day that the stock market officially crashed. History books also describe "Black Thursday" and "Black Monday" leading up to "Black Tuesday." In the dark days leading up to Black Tuesday, the market was severely unstable. Periods of selling and high volumes of trading were interspersed with brief periods of rising prices and recovery. Any of this sound familiar? And interestingly, the Dow Jones Industrial Average (DJIA) which crashed in 1929 actually recovered in 1930 only to reverse and reach it's lowest point on July 8, 1932. It had not been that low since the 1800's. (So you think we've been on a roller coaster ride huh?) I wonder how the investors felt back then. Well, most of you know the rest of the story.... This crash in the market in 1929 officially set off the Great Depression. Unemployment skyrocketed--a quarter of the workforce was without jobs by 1933 and many people became homeless. Many people, fearing that the banks would run out of money and they would lose their savings rushed the banks to withdraw their money. (See this NPR story about the sale of home safes climbing) Check writing ground to a halt and most transactions were made in cash. President Herbert Hoover was unable to improve the situation so in 1932, Franklin Delano Roosevelt was elected president and he promised a "New Deal" for the American people. The end to the Great Depression came about in 1941 with America's entry into World War II but the Dow did not return to pre-1929 levels until late 1954. So fascinated with that refresher of U.S. history, I was motivated to search for more current news on this topic. I was delighted to run across an article in the Wall Street Journal titled: What History Tells Us About the Market. July 9, 1932 was a day Wall Street would never wish to relive. The Dow Jones Industrial Average closed at 41.63, down 91% from its level exactly three years earlier. Total trading volume that day was a meager 235,000 shares. "Brother, Can You Spare a Dime," was one of the top songs of the year. Investors everywhere winced with the pain of recognition at the patter of comedian Eddie Cantor, who sneered that his broker had told him "to buy this stock for my old age. It worked wonderfully. Within a week I was an old man!" If you have the time and are even remotely interested in the U.S. economy and stock market, it's worth a look. To add a bit of atmosphere, I'm spinning two versions of the song - "Brother Can You Spare a Dime." The first is by the legendary Bing Crosby and the second is an emotional rendition by George Michael. I know that was a brief re-cap of many years of history. I personally don't think we're headed for a depression but who knows? The Wall Street Journal article mentions "the psychology of fear" and talks about the lack of liquidity in the banks during the Great Depression. These are phrases we've all become familiar with in the past few months. I'm conducting a poll to see how visitors feel about the likelihood of our economy entering a depression. The poll is at the top right of the page. Feel free to vote if you're inclined. A.K.A - New York, New York! "The city that's so nice they had to name it twice!" Some other popular monikers for New York City are - "Gotham City" and "The City that never Sleeps." The nickname "City that never Sleeps" seems to come from the 24 hour non-stop operation of New York's subway train system and around the clock bustle. I incorrectly believed that the nickname "Gotham City" came from the DC comic strip and fictional home of Batman. I've since learned otherwise. 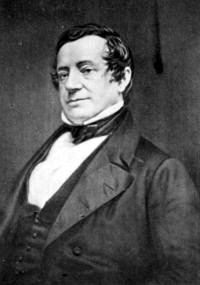 It turns out that "Gotham City" was first used by American writer Washington Irving in a collection of satirical periodicals referred to as Salmagundi. Salmagundi was written in collaboration with Irving's oldest brother, William, and James Kirke Paulding between January 24, 1807 and January 15, 1808. In the periodical, the authors lampooned New York culture and politics in a manner much like today's Mad Magazine. "Well, you'd better fatten up them skinners or all you'll get from the apple will be the core," was the quick rejoinder." 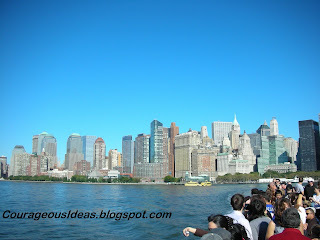 Follow this link: Around the Big Apple for more info. Regardless of which name you choose, New York City is unlike any other city in the world. With it's five boroughs, the "Big Apple" represents a true melting pot and global cultural center. From Wall Street to Harlem, and Little Italy to China Town - The diversity is obvious and wonderful. I was lucky enough to spend 4 perfect days in New York last week. The weather was gorgeous. Not nearly enough time to do all of the things I wanted (I didn't make it out to the Intrepid) but a great trip all in all. Here are just a few shots from around the town - More will follow in another post. 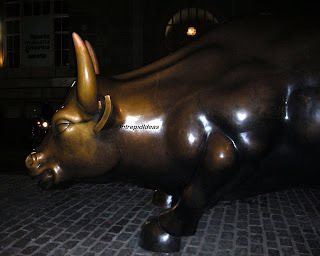 I had a little talk with the Bull while I was there. Now I'm not claiming to have anything to do with today's 936 plus point gain in the DOW, but while other visitors were kicking him in his anatomy, I opted to rub his horns for good luck! I've been hooked on a song for the past few weeks. I have just recently rediscovered this song. It was a song my parents listened to when I was young. 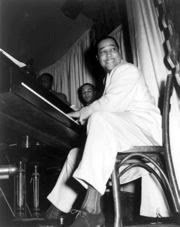 The song, In a Sentimental Mood, is a jazz composition by Duke Ellington. Duke Ellington wrote it in 1935 and recorded it with his orchestra the same year. Even though Ellington composed this song before my parents were born, his most popular version of it was a joint venture with jazz saxophonist John Coltrane. This version was recorded on September 26, 1962 and released on an album titled - Duke Ellington and John Coltrane. 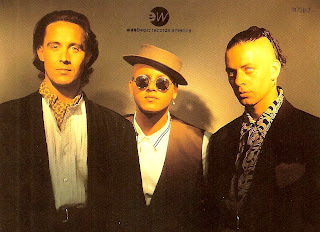 This was the version my parents quickly became fans of. I've later learned that my grandparents grooved to the original composition (from 1935) which featured solos by Otto Hardwicke, Harry Carney, Lawrence Brown, and Rex Stewart. So this really is timeless music. Sentimentality is a very unique and complex emotion. In my opinion, it walks a delicate line between sadness and joy. It's quite easy for me to get lost in another place when I hear this song. There's something strangely familiar and addictive about this tune and find myself hitting the replay button over and over. Maybe it's the (CESH) chromatic embellishment of static harmony that has me hooked. I don't know for sure but consistently, this tune leaves me in a relaxed and happy place. So where does it leave you? The front page of the New York Times...The Return of the Intrepid to Manhattan. Wait a second. I just finalized my plans to go to New York. How did the press find out so quickly. Who leaked my travel plans? Sorry, I guess the story on the front page of the NY Times is not about me. 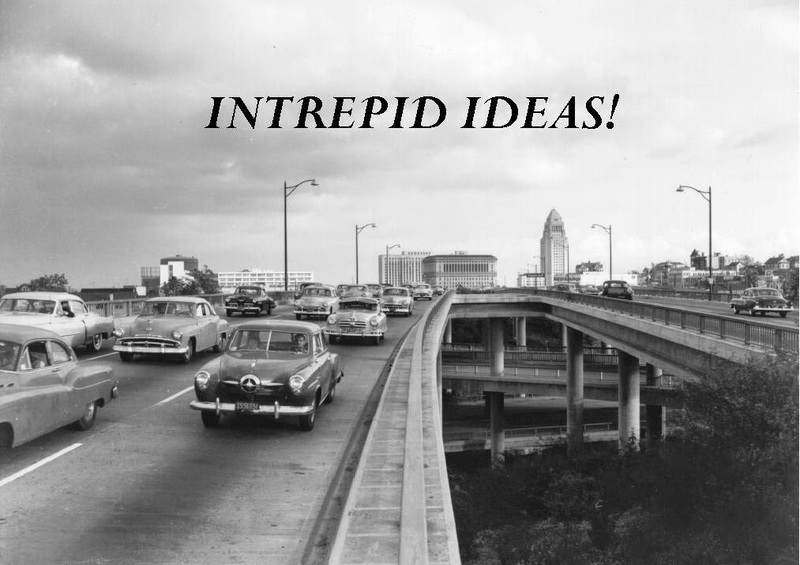 It's about the return of my namesake - The USS Intrepid. I humbly apologize for my arrogance. It so happens that the USS Intrepid aircraft carrier returned today to it's spot in Manhattan where it has served for 24 years as a military and space museum. The Intrepid Sea Air & Space Museum had occupied the Manhattan space until late 2006, when it was moved for extensive repairs and improvements costing nearly $120 million. 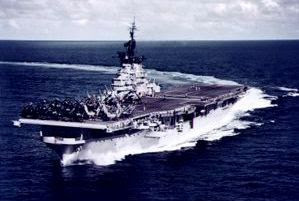 The USS Intrepid was launched on April 26, 1943 by Newport News Shipbuilding & Dry Dock Co., Newport News, Virginia, it was the fifth Essex-class aircraft carrier to be launched. The Intrepid has one of the most distinguished service records of any Navy ship, seeing active service in the Pacific Theater including the Marshall Islands, Truk, Leyte Gulf, and Okinawa. Later she recovered spacecraft of the Mercury and Gemini programs and served in the Vietnam War. 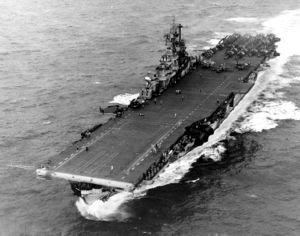 I learned today while researching this post that while the Intrepid was able to survive five Japanese kamikaze suicide planes, it narrowly escaped demolition. Ultimately, it was rescued by New York real estate developer and philanthropist Zachary Fisher. Zachary Fisher, who died in 1999, gave more than $25 million to the establishment of the Intrepid Museum. He also set up a foundation that sent $10,000 checks to families of the 241 people who died when a Marine barracks was bombed in Beirut in 1983. President Clinton, later recognized Mr. Fisher by awarding him the Presidential Medal of Freedom in 1998 saying "he never knew any other civilian who cared as much about the military." I am personally grateful to Mr. Zachary Fisher and the Men and Women who have proudly served on the USS Intrepid. I will be traveling to New York next week and I hope to stop by for a visit. Unfortunately, I hear the carrier won't be open until early November. Maybe I can get some photos from afar. What's the difference between a finish carpenter and a shark? Greg LeNoir, a finish carpenter, had taken his 14 pound rat terrier Jake for a swim at Worldwide Sportsman's Bayside Marina pier in Islamorada, Florida. That's where the near tragedy occurred. 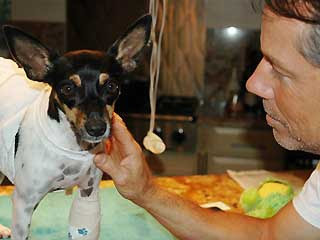 LeNoir watched as a 5 foot shark grabbed his dog Jake and pulled him under the water. LeNoir shrieked and without hesitating leaped into action. The shark, no doubt feeling out-matched, released Jake and swam off. The 28 month old Jake who was rescued once from an animal shelter is doing fine and in my words, has just been issued his second get out of jail free card! Well Doctor- this was more than just a regular house call.